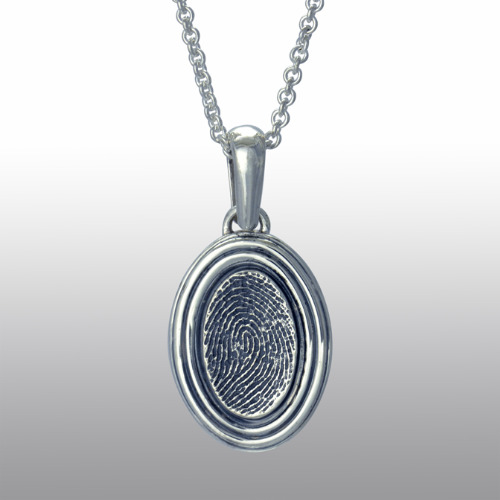 Precious Vessel Ribbed Print Pendant in sterling silver. 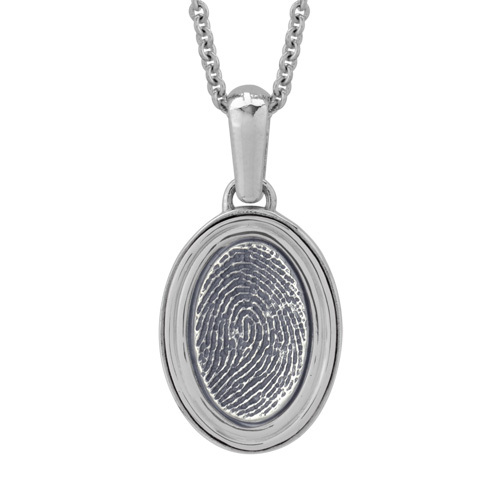 Inset is a customized finger print or small foot print of your loved one. 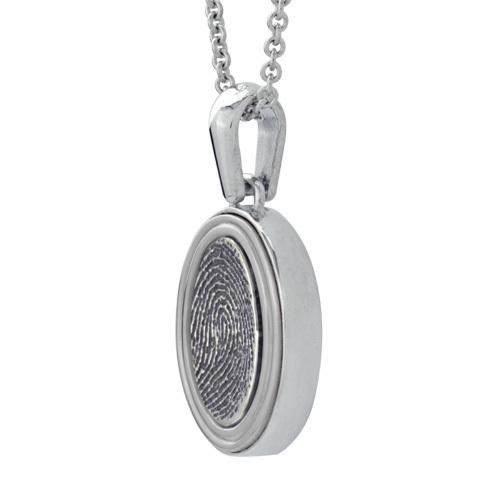 The print is framed by a classic ribbed design. 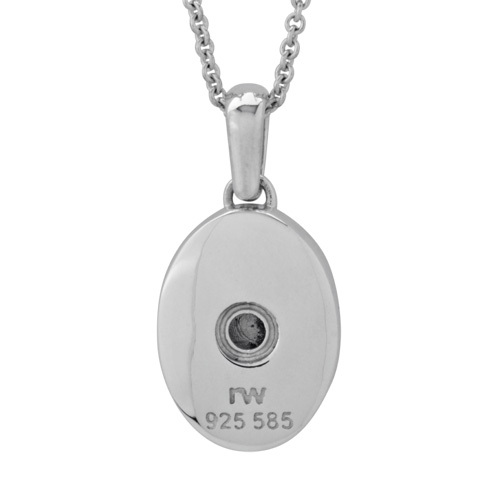 The chain is 18” sterling silver with a large lobster claw clasp. 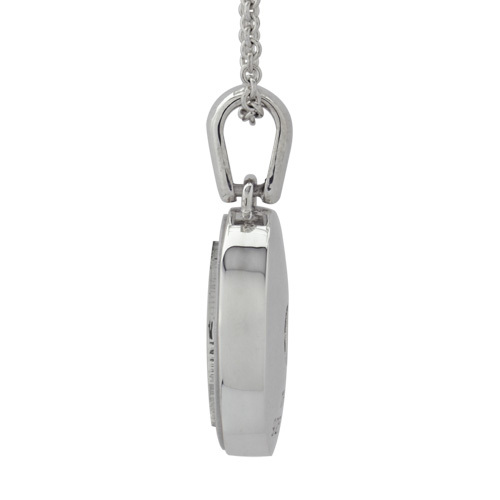 The chain has a shortening ring at 17” and 16”.